A rich, genre-spanning, breathtaking novel about one mother's quest to save her child, unite her family, and believe in the unbelievable. 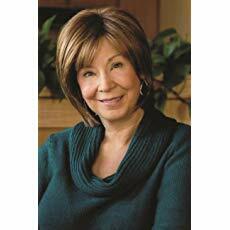 Diane Chamberlain pushes the boundaries of faith and science to deliver a novel that you will never forget. 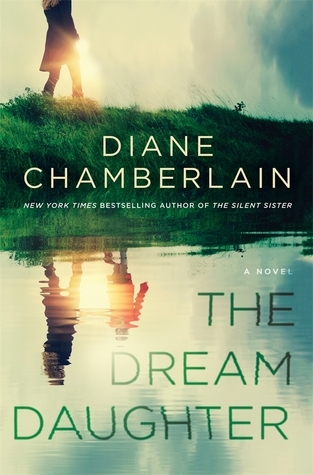 The Dream Daughter by Diane Chamberlain is a 2018 St. Martin’s Press publication. Caroline ‘Carly’ Sears is newly widowed and expecting her first child. If this weren’t stressful enough, her doctors believe her unborn child may have a fatal heart defect. With her sister and brother-in-law by her side, Carly may need to accept the reality that her child will die soon after she is born. Hunter, a physicist, has a tough decision to make. Upon hearing of his sister-in-law’s prognosis, he knows he can save her child. How? By traveling back to the future. As it happens, Hunter is from 2018, but he traveled back in time after his wife dies, meets Carly, then her sister, whom he marries, and starts a family with. He’s carved out a nice life for himself and is content. But, he is willing to risk it all for Carly and her baby. Will she believe he is from the future? Is she brave enough to travel into the future? Will she be able to return to 1970? How will the truth effect Hunter’s marriage to Carly's sister? I’ve been sitting on this book for a while. I knew it would be good because Diane Chamberlain has never disappointed me. The early reviews were amazing. But, I still procrastinated, waiting for the day the book called out to me. After I finished the book, I just couldn’t find the words to write a review. So, I procrastinated some more. I hope I can do the book justice, especially after reading so many wonderful reviews of this amazing book! As I have said many times, time travel is a hard sell for me. But, this may be the most realistic and believable depiction of time travel possibilities I have ever read. However, it is the mother’s love for her child that resonates, that makes the risks worth it. The story is also one of the most suspenseful novels of its kind I’ve ever read. The emotions are raw, tangible, almost physical. I was riveted, held captive by this story, the suspense nearly intolerable, but I was simply unable to tear myself away from it. The characters are eclectic, Carly is obviously the most sympathetic, while others are an enigma. The twists and turns are breathtaking, surreal, and pulse pounding, holding me on the edge of my seat, with my heart in my throat. This novel is so well constructed, so thought provoking, poignant and soul- stirring!! I don’t think I’ve read anything quite like it before. Chamberlain’s novels always leave an impression on me, but this one captured my imagination, and left me reeling with emotions. I loved it! Loved it! This one is imprinted on my brain and in my heart and I promise it will not fade from my consciousness for a long time to come!! Diane Chamberlain is the New York Times, USA Today and Sunday Times bestselling author of 26 novels published in more than twenty languages. Her most recent novel is the genre-spanning The Dream Daughter. Some of her most popular books include The Stolen Marriage, Necessary Lies, The Silent Sister, The Secret Life of CeeCee Wilkes, and The Keeper of the Light Trilogy. Diane likes to write complex stories about relationships between men and women, parents and children, brothers and sisters, and friends. Although the thematic focus of her books often revolves around family, love, compassion and forgiveness, her stories usually feature a combination of drama, mystery, secrets and intrigue. Diane's background in psychology has given her a keen interest in understanding the way people tick, as well as the background necessary to create her realistic characters. Please visit Diane's website at www.dianechamberlain.com for more information on her newest novel, The Dream Daughter, and a complete list of her books.